Dwaarika Heights Plot No.1000 M NH-58 Opp. Apex Institute, Vedvyaspuri, Bypass Meerut - 250005, U.P. Prasandi Builders Pvt Ltd was established in 1996 and is a leading name in the real estate sector of India. They are based in Meerut which is a 90 minute drive from Delhi. The group aims at further diversifying its business in various other segments, and to deliver quality world-class services to its clients. Their projects are majorly focussed in the city of Meerut. They go by their motto of “Building Trust, Creating Value”. Their successful projects reflect their potential of creating value in every project that they start. Some of their highly recognized projects include Dwaarika Towers, Inderlok Colony, Nand Vihar, Vrindavan Garden, Dwaarika Heights, Krishna World and a few others. 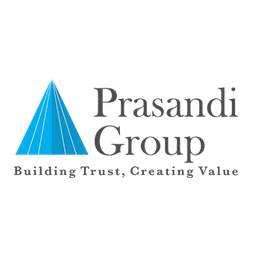 Prasandi Group has successfully ventured into both residential and commercial real estate development. They are known for the wide range of facilities, services and amenities that their complexes boast of. The excellent standards of design and architecture found in their projects have made Prasandi Group the most sought-after real estate developers in northern India. Almost two decades old in the industry, they have carved a name for themselves and their success is largely credited to their Founder Mr. Vijay Pal Yadav.